Category Archives for "Cannabis Products"
Atomizers open up the doors to transform your vape mod into a multi material vaporizer. Today we are fortunate to have a selection of dry herb atomizers and wax atomizers to pair with our vape pens or vape mods. In this article we will be taking a look at a few of the best choices we have when it comes to selecting a wax atomizer for vaping dabs. 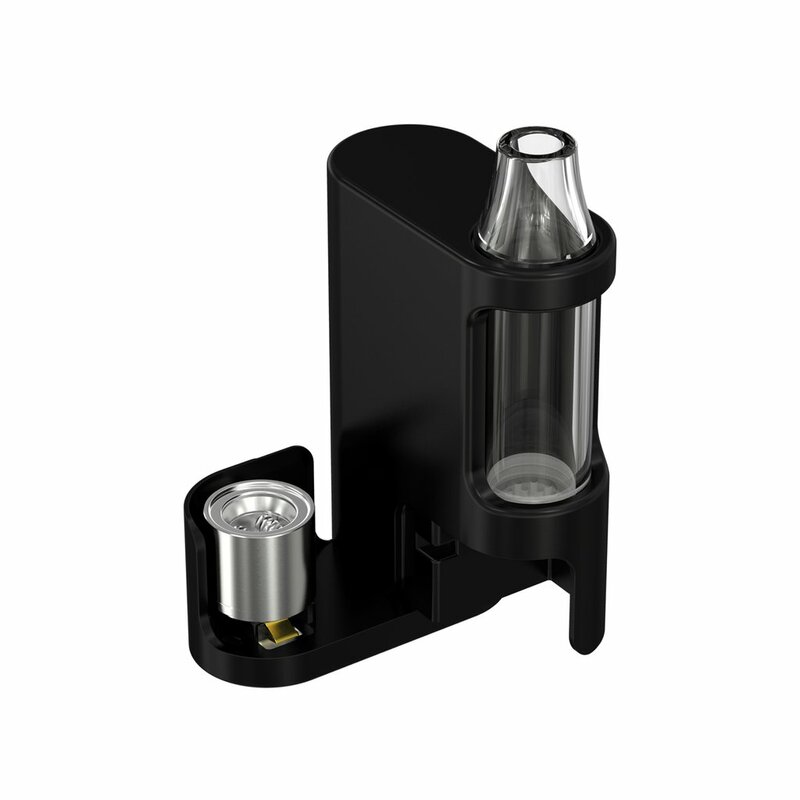 The Greedy M1 is a popular heating chamber by Atmos for wax concentrates. You can learn more by visiting the official AtmosRX website here. The wax heating chambers are under the menu item 'Mods and Attachments' > 'Heating Chambers'. The Greedy M2 is the second version of the Greedy and is designed to vape both dry herb and wax concentrates. You can learn more by visiting the official AtmosRX website here. The wax heating chambers are under the menu item 'Mods and Attachments' > 'Heating Chambers'. Seen in the image above is the Atmos Studio Rig, this is not just a heating chamber that uses a 510 thread but a whole water bubbler, enail wax attachment. You can learn more about the Studio Rig attachment here. Source Vapes has a few options to offer for vaping wax concentrates and is one of the fastest growing vaporizer brands. The Source Orb utilizes magnets which make it quick to load and easy to clean. Learn more about the Source ORB 4 510 Attachment here. This is another heating attachment from Atmos RX, this is one of the most purchased wax heating attachments. Its priced competitively, its easy to use, and easy to clean. 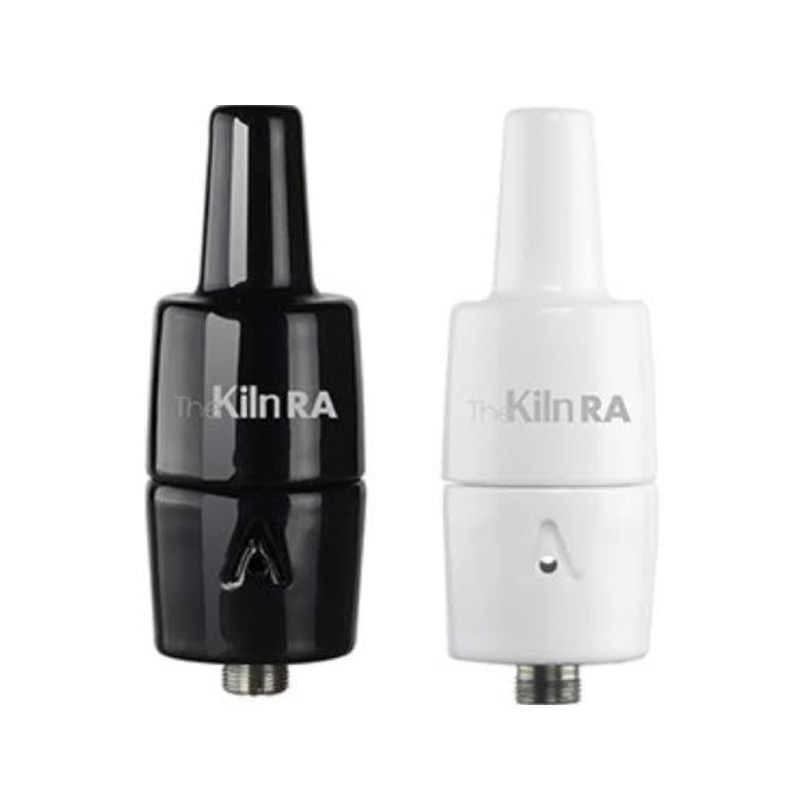 You can learn more about the Kiln RA heating attachment for wax concentrates here. The HoneyStick uses dual quartz rods and high performance coils that can produce heat in instant. 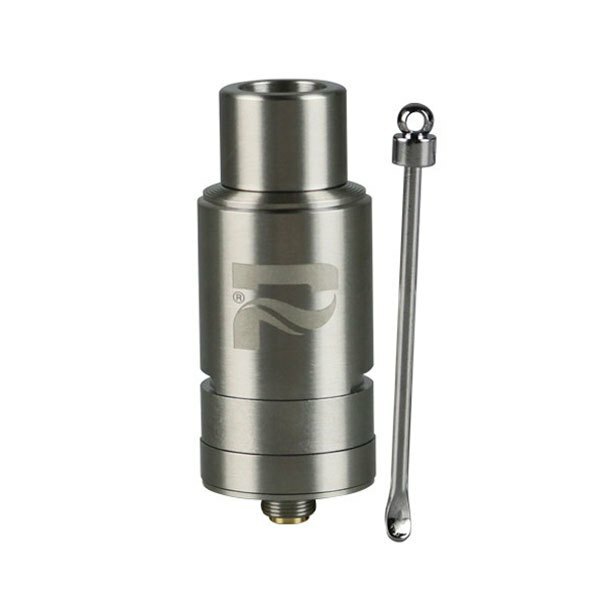 This tank is compatible with any 510 threaded Sub Ohm devices. 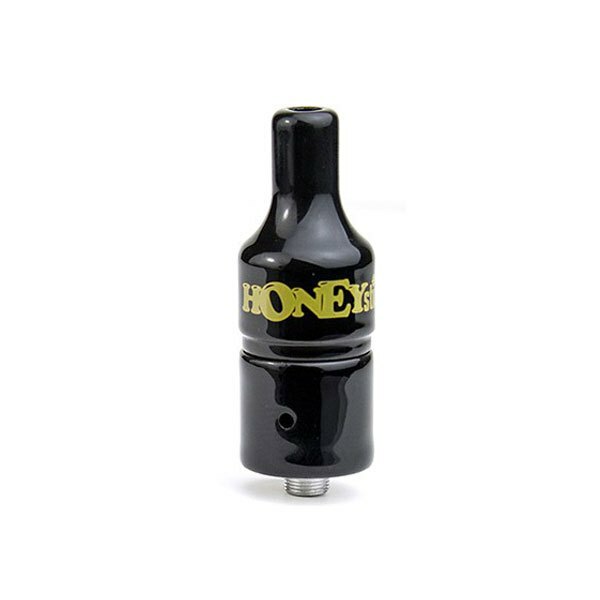 You can learn more about the HoneyStick Highbrid wax atomizer here. The Honeystick Ceramic Wax Atomizer is similar to the Kiln RA above. It is an attachment made out of ceramic. 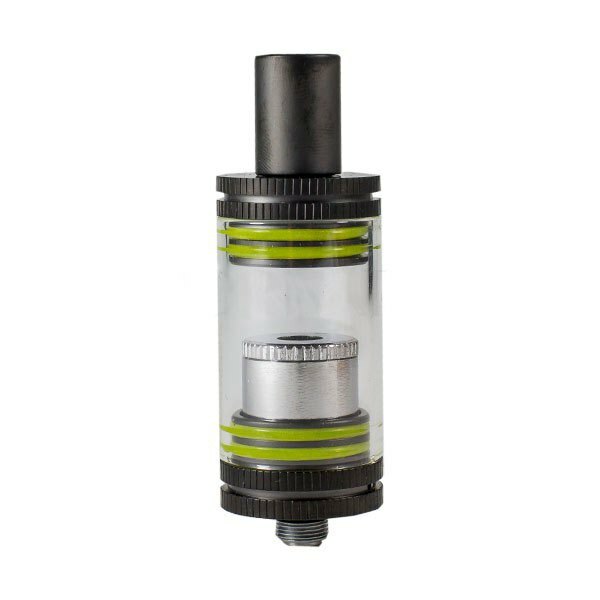 This tank is compatible with any sub ohm devices with the 510 thread. You can learn more about the HoneyStick Ceramic wax atomizer here. 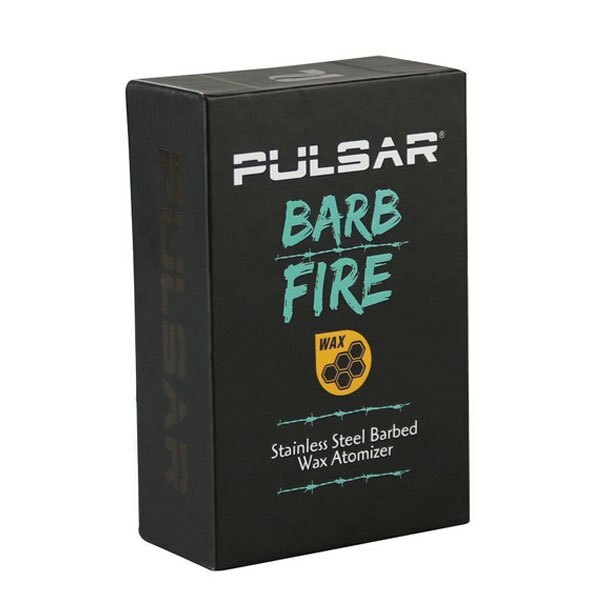 The Pulsar Hell Fire is a heavy duty well built stainless steel wax attachment by Pulsar. The kit comes with 5 coils, each coil is inserted inside the pure ceramic chamber. You can learn more about the Pulsar Hell Fire wax atomizer here. The Barb Fire Wax Atomizer is concentrate heating attachment by Pulsar. The Pulsar Barb Fire has a resistance of 0.2 to 0.3 ohms and an output wattage of 15 yo 25W and adjustable airflow. You can learn more about the Pulsar Hell Fire wax atomizer here. The new vaporizer and attachments offered by Prohibited are pretty unique and something new to the vaporizer industry. Vaporizers are becoming more modular and attachments are becoming a bigger part of the picture. Vaporizers today are far more sophisticated than they were just a few years ago. 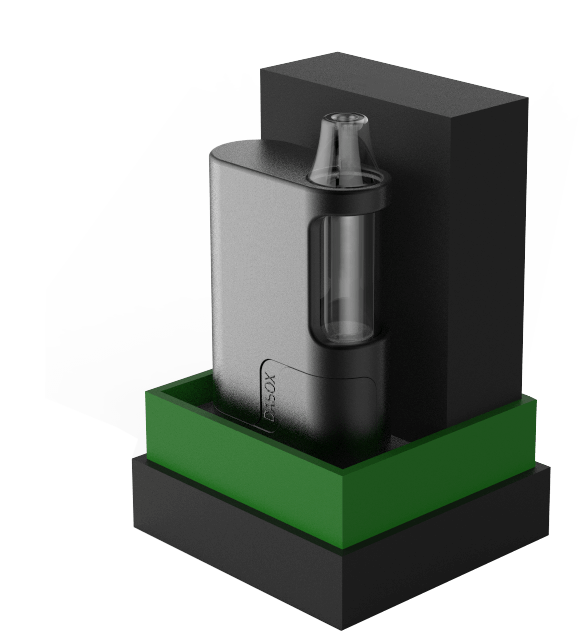 Vaporizer like the ones from Prohibited are designed to vape multiple materials in multiple ways.This device may come to be a strong competitor in the best vaporizers under $250 category. 5th Degree Vaporizer has a few pretty cool attachments that will be available to work alongside it. Notably the dabbing attachment and the e-rig attachment which we will touch on a bit later. 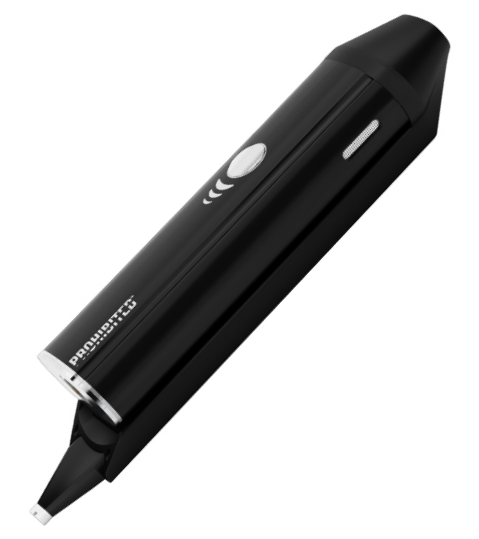 The Prohibited Vaporizer company also has a device called the 4th Degree coming out that is a more slim portable unit. In this article we will touch on the build quality, attachments, portability, ease of use, and where to get one if you so choose. The Prohibited 5th Degree Vaporizer boasts a unique a premium vaping experience. This device uses different cartridges for dry herbs and for wax concentrates making it a multi material vaporizer. The interchangeable cartridges connect to the 5th Degree using magnets for a very user friendly and fast loading design. A combination of variable voltage and temperature settings gives you more control over your session than most other portable vaporizers. The 5th Degree vaporizer by Prohibited has been built using a stainless steel oven for dry herbs and a dual quartz and titanium cartridge for concentrates. The housing is made using a single body construction design. The vaporizers from Prohibited are offered with a top tier warranty that only a small handful of device manufactures offer. The portable vaporizer by Prohibited have a lifetime warranty - this should tell you something about the overall quality and confidence that they have in their product. The 5th Degree Prohibited Vaporizer is a portable multi material vaporizer. The device charges with the magnetic charging dock and is powered by a powerful internal rechargeable battery. The 5th Degree model is not quite as small as the 4th degree model that Prohibited is also offering but the design and functionality make the 5th Degree a more versatile and powerful option. If you plan on using the device without the 2 attachments it is a more portable unit. The 5th Degree vaporizer is designed to be used with dry herbs and thicker concentrates. This device is not meant to work with e-liquids. Overall the versatility of this portable multi material vaporizer is pretty good. The option to change variable voltage, the option to adjust the temperature settings, the option to vape different mediums, and the option to pair the device with innovative attachments such as the 5th Degree Dabber Attachment and the 5th Degree E Rig Attachment. This level of versatility does not exist in to many vaporizers when they are first introduced to market. The fact that right out of the gates these options are being mentioned likely means that we will see more innovative attachments designed for the Prohibited vaporizers. The first attachment you may want to get is the tip heating dab attachment. When you connect this to the vaporizer mod you turn it into a Dipper like vaporizer. If you are unfamiliar with a dabbing vaporizer it is where the tip has a little atomizer in it that vapes your concentrates and inhaling through the mouthpiece at the same time. The second attachment is the portable e rig. This allows you to vape concentrates using a nail and a water bubbler attachment. The e-nails have a heating capacity of 450°C and the nails are interchangeable. A more portable vaporizer experience that will work for both dry herbs and concentrates by Prohibited is called the 4th Degree Vaporizer. As you can see by the preview below the 4th Degree Vape Pen is much smaller and more pocket friendly than the 5th Degree. We are not sure about the details of the 4th degree pen yet and also unsure about the attachment options. Overall the Prohibited vaporizers are well built and stem from a new company that has parent companies that have been in the vaporizer business for quite a while. The versatility, portability, build quality, attachments and overall look and feel to the Prohibited line are very good. The option to vape both dry herbs and concentrates from the 5th Degree in various ways is something that will keep you interested in the same device for a while. The fact that Prohibited is offering a lifetime warranty with there devices is quite impressive and should tell you something about the overall quality and confidence that they have in their product line. The best place to buy the Prohibited Vaporizers is directly through there official website. There are a lot of companies that attempt to replicate vaporizer from other companies similar to fake watches. It is recommended to purchase from with the official manufacturer here. We've been hearing a lot of good things about the Atmos Studio Rig which is a portable e nail kit that comes with two different heating chambers. The Atmos e rig box mod attachment is able to connect to pretty much all box mods. This attachment turns your e-liquid mod setup into one of the best weed vaporizers. Not only can you now vape dry herbs and wax concentrates, but the glass mouthpiece also uses water filtration to give you a smooth draw. In this article we will take a look at the build quality, potability, versatility, and our overall opinion on if the Atmos Studio eRig is a product worth buying. The Atmos Studio Rig is available in bronze, silver, red and black. You can get it with either the standard 510 threading or the specialized Atmos threading. If you will be pairing this with your existing mod that is not an Atmos model you will want to go with the standard 510 threading. 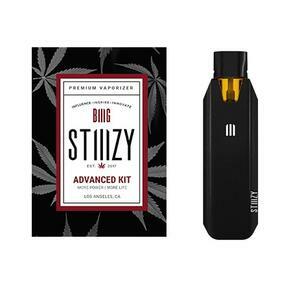 The e nail kit comes with a ceramic chamber, titanium nail chamber, glass filtration/chamber connector, and a magnetic cap and packing tool. All the components are well built and and designed to deliver a solid vaping experience. Built with a completely solder free composition and containing top quality materials, the Studio Rig is one of the best vaping attachments that we've seen - especially for box mods. The Studio Rig is definitely portable but not exactly pocket portable. It is more portable than a desktop e nail but because its made of glass and is in itself a few different parts its not the easiest thing to quickly grab and go with. If your traveling and space and carrying things on your self is not an issue than the e nail kit as a whole is definitely portable. In the image below you will see the Studio Rig attached to a small box mod. The Atmos Studio Rig e nail kit uses 3 unique and interchangeable heating chambers that combined are able to vape dry herbs and wax concentrates. The heating chambers have been designed to deliver a pure vapor hit and flavorful taste. The Studio Rig Box Mod attachment is a versatile unit for being able to vape multiple materials, includes the element of water, and can connect to many different box mods. Overall the Studio Rig by Atmos is a cool little box mod attachment. If you already own a box mod that uses a 510 thread and your looking for a product that you can vape both dry herbs and concentrates with this is a cool option to have. The fact that it uses a bubbler and provides a bit of water filtration is a bonus as well. If your looking for an all round portable attachment that is more designed for traveling that will work with your box mod as well we recommend you take a look at the Greedy M2 heating chamber, ideally it would be cool to have both the Rig and the Greedy and than your set for both home use and travel purposes. Both are neat, both made by Atmos. A new enail vaporizer that has recently been released is the Dabado Bolt 2 which I recommend you check out. The Bolt 2 is not a 510 mod attachment but is a stand alone complete portable dab kit. The Bolt 2 comes with 3 different nails, a replacement heating element, and uses a powerful battery to deliver strong hits. You can check out the Dabado Bolt 2 here. It is recommended to purchase vaporizers through the official site of the manufacturer. This removes the risk of getting a cheap knock off replica version. You can visit the ﻿ ﻿﻿official Atmos website here. The DAbOX portable wax vaporizer has recently been released by Vivant. The DAbOX is a compact vaporizer that makes dab hits very easy and convenient. The spelling of the device with the small 'b' makes it more apparent that it is meant to be a 'dab' 'box' in an attempt to gain market share of the growing wax/dab user-base. 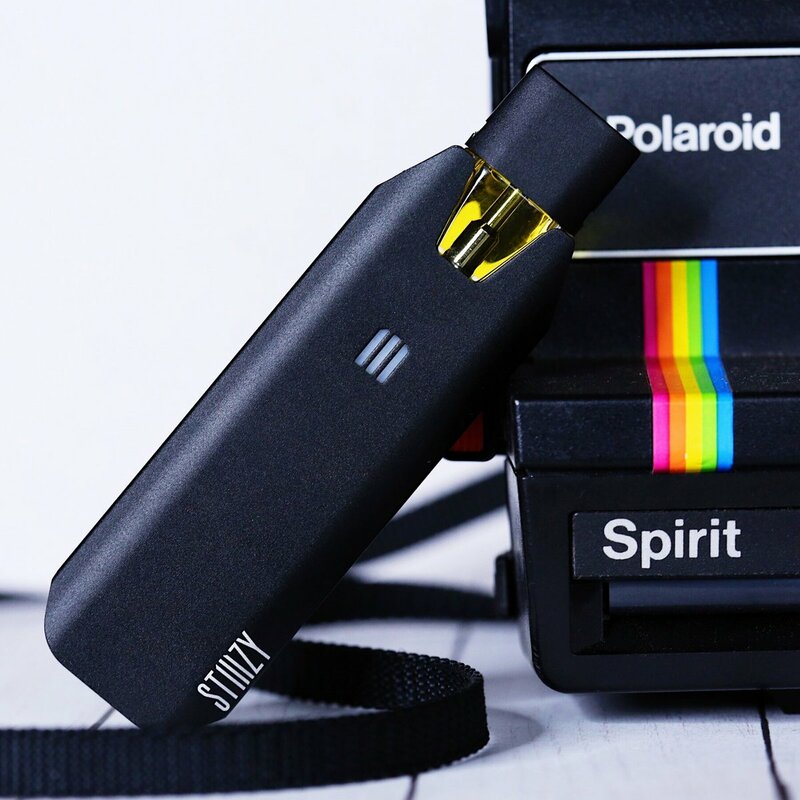 In this article we will have a look at the build quality, vapor quality, portability, pros and cons, our overall assessment, and where to get one if you think this device is right for you. Continue reading to learn more about from our Vivant DAbOX review. The DAbOX wax vaporizer is built using quality materials and delivers 40W at the press of the fire button. The glass chamber is pretty big which allows the vapor to travel a good distance before hitting your lugs. The glass chamber is very easily removable making it simple and quick to clean. The DAbOX dab vaporizer comes with a Dual Quartz Coil and a Dual Quartz Clapton Coil. 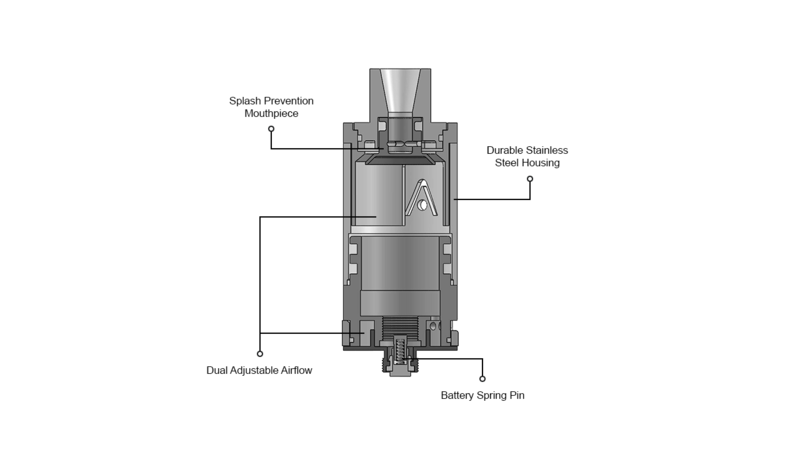 The device has a patent pending Flip Door that opens and closes giving you access to the coil where you can quickly load it or replace a coil as necessary. It's actually a bit similar to the Ghost MV1 oven chamber in a sense that it is easily accessible, loadable, and maintainable. The LED lights the device uses communicate various things with you. The LED lights will indicate if the unit is charging or fully charged, if the device is on or off, the connection to the coil, and you can also use stealth mode if you like. When you have the device in use - as in you have the fire button pressed down (yes the DAbOX uses a fire button) the glass mouthpiece tube will light up from the LED lights to display the approximate remaining battery life. ​There are 3 different LED colors that will display depending on the remaining charge - if it lights up green you will have between 80% and 100% battery life remaining, if it lights up blue you will be sitting at 20% to 79%, and if it lights up red you will be running low and be between 1% and 19%. This is an interesting way to go about the remaining battery and to be honest does not seem like the most user friendly way to do it. They should have at least had maybe 5 different colors and closed the huge gap between 20% and 79% to help give the user a better idea. The light could be blue and you might think to your self 'what a wonderful world', and than bam! red light of death. Just saying, its 2017 could give the user a bit more of an indicator. Overall not a big deal, just something that seems a bit off to me. The chart below will give you a god indicator of what to expect when using each f the included coils. The dual quartz coil has the fastest heat up time, which in turn gives you more battery longevity on a single charge. The Clapton dual quartz has the longest heat up time but also produces the best vapor. The single quartz Clapton coil is not included and can be purchased separately and falls in the middle of the other two in both vapor quality, energy usage and heat up time. The DAbOX uses a built in 1500mAh lithium ion battery which for the size of the unit is a descent battery. Using a built in battery can sometimes be a pain when the device take 2 to 3 hours to charge, but the DAbOX uses a quick charge system that allows it to charge with 2 Amps current making it able to go from a 0% charge to 100%charge in under 1 hour. When the battery is charging the device will light up red and when fully charged the light will turn off. The size of this new portable wax vaporizer is pretty small and the shape is a comfortable one. It can easily be held in the palm of your hand with the fire button in a good position. The device feels pretty powerful and generates some descent vapor clouds. Overall the DAbOX is a well designed vaporizer that provides something a bit different then the typical portable wax vape pen design we see with pretty much every other unit. Portable wax vaporizers are becoming more popular and the ability to do dabs so conveniently on the go is great to see. The fire button and the design of this vaporizer makes it feel a bit like a vape mod opposed to a herbal vaporizer. The price point of this wax vaporizer is extremely low and perhaps the lowest we've see for a device that performs as well as this one does. I would like to just point out another portable shatter vaporizer that you may be interested in as well - if you have not yet checked out the Dipper from DipStick Vapes it is a innovative versatile shatter pen that is also pretty cool. In conclusion the DAbOX is a good deal and performs well - a great way to get into dabs if you haven't already.